Dayton-July 31, 2018- When fire broke out on the vacant side of their duplex on Kammer Avenue, a Dayton family was alerted by their newly installed smoke alarms; as a result, two adults and two children made it out safely. These four lives have just been added to the total number of lives saved thanks to the Red Cross Home Fire Campaign. Launched in October of 2014, this campaign aims to reduce home fire deaths and injuries by 25 percent through the installation of free, working smoke alarms in local homes and by helping families create escape plans. In the case of the Kammer Ave fire, the smoke alarms were installed on May 10, just a little more than two weeks prior to the May 28 fire. The national total now stands at 457 lives saved since the program’s inception. Twenty-seven of these lives are from within the Greater Cincinnati-Dayton Region, including the seven of whom were saved from a Springfield house fire in June. On average, seven people die every day from a home fire and 36 people are injured. Working smoke alarms cut the risk of death from a fire in half. 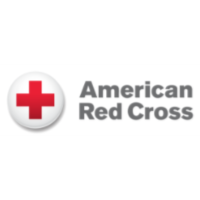 To volunteer with the Red Cross go to redcross.org.